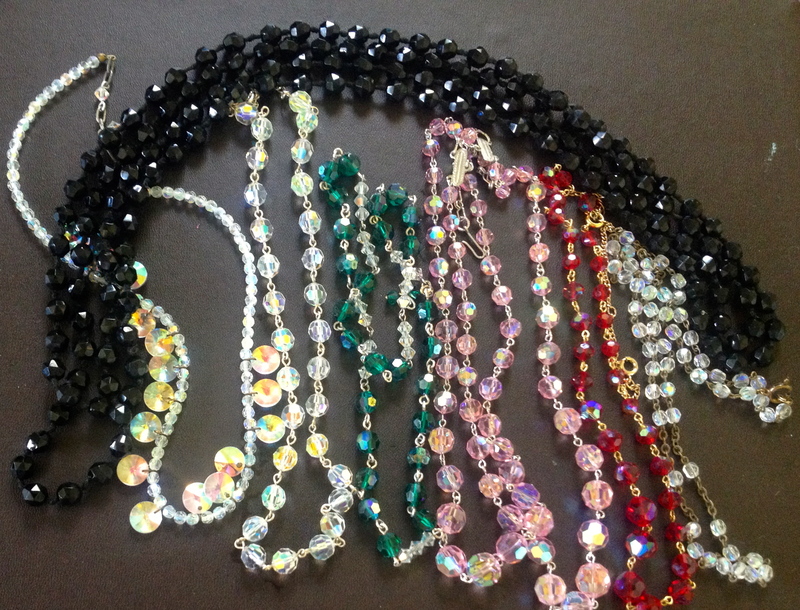 Vintage crystal necklaces to sparkle up the shop. One of our unanticipated successes in the shop so far has been our small range of antiques and collectibles – we started with a few favourite things from the auctions on a shelf and have now expanded into two small cabinets. 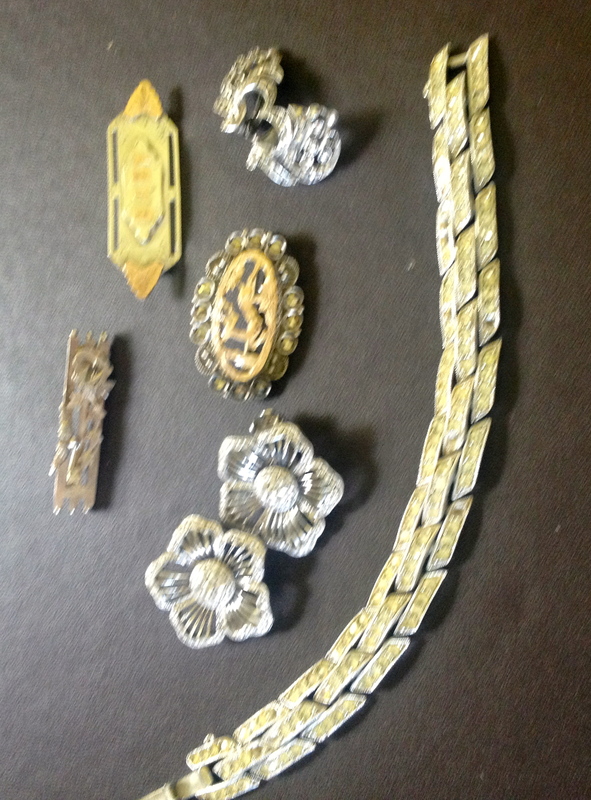 Jewellery which includes a vintage cocktail bracelet that would have looked in place on the Duchess of Windsor’s wrist. 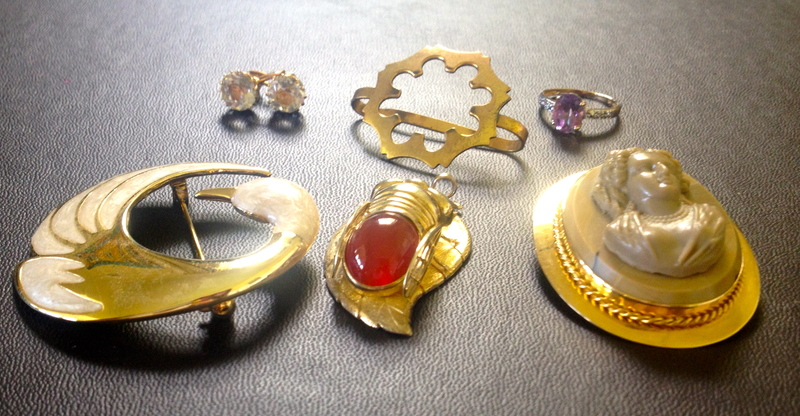 This weekend we’ve been shopping online at one of the major auction houses in Sydney and come back with some lovely items – we’re often sad not to keep them ourselves and sometimes hope they’ll stay on the shelves with us for a while. Probably my favourites this time around were the gorgeous crystal necklaces although some of the brooches are just beautiful, with such craftsmanship and attention to detail. 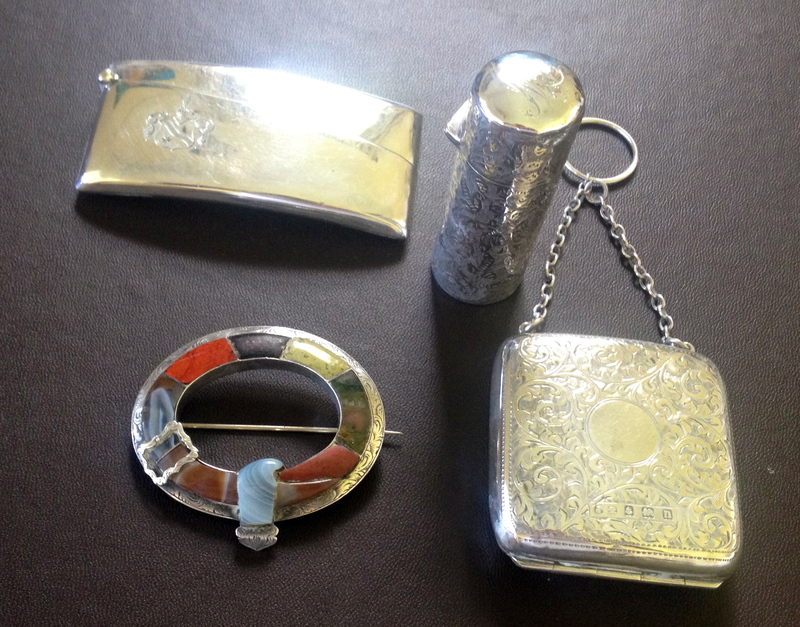 Gorgeous silver things including coin purse and a beautiful Scottish agate brooch. This means that we have something for the non-knitting (hard to imagine) visitors to our shop. An exquisite cameo brooch makes an appearance with other interesting accessories. Previous Knitting… and lots more knitting!